Having your carpets cleaned at least once every year is not only good for the health of your carpets but it is good for your family's health as well. 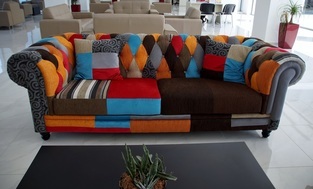 Upholstered furniture will stay newer longer with regular professional cleanings. Scotchgard provides an invisible barrier between your carpet fibers and spilled liquid. Wilson Carpet Cleaning is here to help you! Let's face it, life happens, from baby spilling her milk, to grandma spilling her wine. There is never a dull moment in your life, or in the life of your carpet. Here at Wilson Carpet Cleaning we know your trouble, and we are here to help. 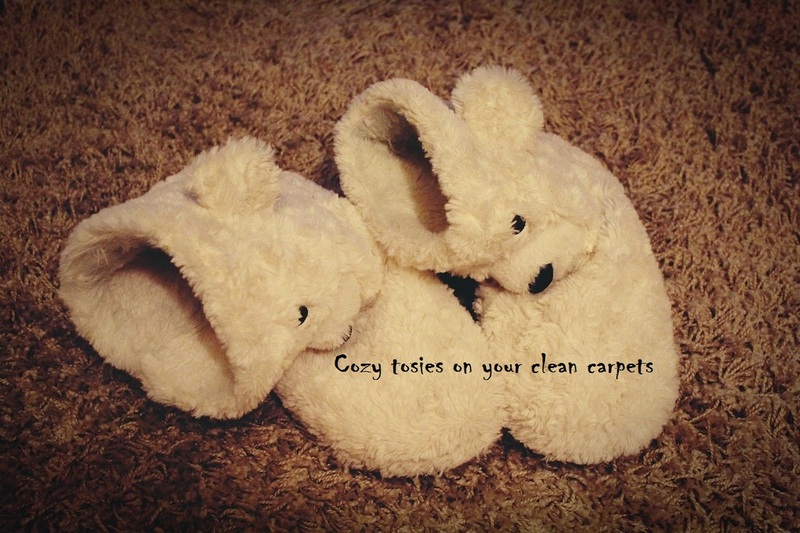 We offer the best methods for restoring your carpet or rugs to like-new condition. Our services and treatments will extend the life of your carpets and keep them looking fresh and clean. At Wilson Carpet Cleaning you can count on our professionals to help prevent future stains that we all know are inevitable. We also understand that life get's busy. Whether you are running the kids to soccer practice or cooking dinner or simply trying to get a minute to yourself, it sometimes pays to have one of those responsibilities taken out of your busy schedule. Let us take care of your carpets for you. We are professional. We are affordable. We would love to help you. LET Wilson Carpet Cleaning can de-stress your life! Ewwww! What kind of critters are secretly living in your carpets?! The image above depicts how bacteria are able to creep into your carpet and settle, causing damage on a microscopic level. Even though you may not be able to see it easily, it is a known fact that just one square foot of your carpet can hold up to a full pound of unwanted grime, dust, dirt, and especially bacteria. Let Wilson Carpet Cleaning get rid of your cooties!!! The accumulation and circulation of dirt/dust in your carpets can have a negative affect on the air quality of your home. Along with the dust, dirt, grime, and bacteria that live in your carpets, other things like pollen, dander, and dust mites also have an unwelcome stay in your carpet fibers. All of these things are released into the air and into your nostrils when you walk on your carpet. These culprits are stirred into the surrounding air and can cause sneezing, coughing, and other health complications. Not to worry, Wilson Carpet Cleaning will fix you right up! With special training in all areas of carpet cleaning, you can always trust our professionals with your carpets and your health. Cleaning your carpets as often as once in 6-12 months will greatly prolong your carpet's life, and will prevent stains from building up within your carpet. Depending on how much use the carpet gets, it can be cleaned less or more frequently. Wilson Carpet Cleaning offers the best service for however frequently you need your carpets cleaned. You may be wondering, "Why would I need frequent service on my carpets? ", the answer is simple, you must always remember that carpet cleaning is not just an investment to the way your carpet looks, but it is also an investment to your own health. We want to provide a bacteria free, sparkling clean carpet that is healthy for the whole family. Let Wilson Carpet Cleaning ​serve you today. First use paper towels to soak up the urine. Press firmly with the paper towel so as to absorb as much as possible. Second, use a 50/50 mixture of white vinegar and water to saturate the whole area that the urine penetrated. 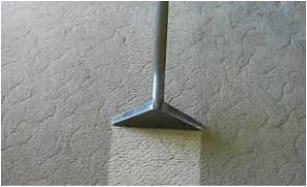 After pouring the mixture onto the area, use a scrub brush to work the solution into the fibers of the carpet. Again, blot the area with paper towels. Take about a cup of baking soda and sprinkle it all over the area of the stain. Now mix a half cup of hydrogen peroxide with a teaspoon of detergent and apply to the stain. Use a scrub brush again to work into the carpet. Once the area is dry, simply vacuum up! Dog-gone-FUNK- B- GONE! You can clearly see from the above photos how effective Scotchgard Treatment is for your carpets. Scotchgard provides an invisible barrier between your carpet fibers and the spilled liquid. Scotchgard Protectant protects against oil-based liquids as well. When Scotchgard is applied to your carpets, you will have more time to remove the spillage when an accident happens so that a stain will not occur. This will ensure that your carpets stay fresh and clean for a longer period of time! 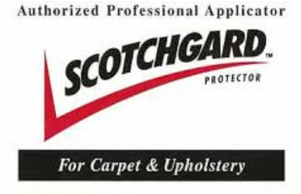 Ask your Wilson Carpet Cleaning tech about Scotchgard Protectant pricing along with your free instant quote! Whether it's the kiddos or the fur babies that are making your carpets look like a cyclone struck it, Wilson Carpet Cleaning can help. ​COVER ENTIRE STAIN WITH TABLE SALT WHILE THE STAIN IS STILL WET. THE SALT WILL START TO TURN PINKISH IN COLOR AS IT ABSORBS THE WINE. LET THE SALT SIT ON THE STAIN FOR SEVERAL HOURS OR EVEN OVERNIGHT. WHEN THE SALT FEELS DRY TO THE TOUCH, SIMPLY VACUUM UP AND THE STAIN SHOULD BE GONE OR GREATLY IMPROVED! Mix two cups baking soda with 30 drops of Lavender Essential Oil, sprinkle on carpet, wait 2 hours, vacuum up! 3. Always remember to vacuum often and thoroughly. Dirt is the biggest culprit in wearing out your carpet. Properly cleaned and maintained carpet will last twice as long. 4. Do not make your carpet too wet, this can cause carpet shrinkage, brownout and molding. 5. Clean up spills right away. The longer a stain sits the harder it will be to get out. 6.Vacuum before and after you have your carpet professionally cleaned. This will insure that your carpets' outcome will be the best it possibly can be. ​7. Make sure to either remove furniture from the room that you will have cleaned or lift the furniture legs off of the carpet. This will insure that there is no staining from the wood on the furniture transferred to your freshly cleaned carpet. ​These tips in addition to your regularly scheduled carpet cleanings with Wilson Carpet Cleaning will keep your carpets looking fresh and clean and will also benefit the health of you and your family!